Below you can find a list with all the current American countries and their capitals (2019). United States: Washington D. C.
Location of the American countries. (*) Greenland and French Guiana are not sovereign countries. More info [HERE]. Greenland is not a sovereign state, but part of one: Denmark. French Guiana belongs to France. 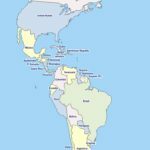 OAS.org – The Organization of American States (2019). Member States. Avaliable [HERE]. Un.org – United Nations (2019). Member States. Avaliable [HERE]. D-maps.com (2019). 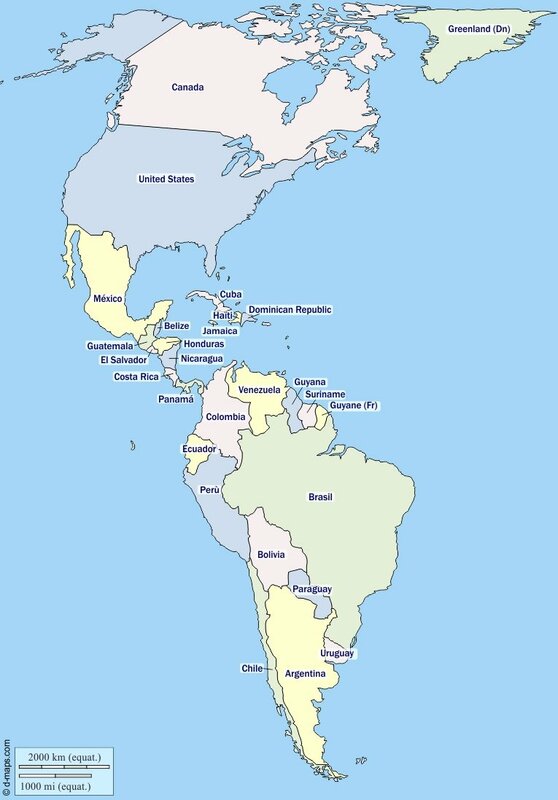 Map with the location of all the countries in the Americas. Avaliable [HERE]. How many bones are in the neck?